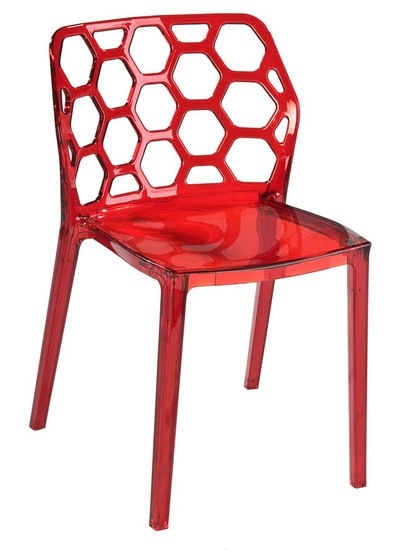 Flexible and versatile, Mason Stackable Chair in classic colors of black, red or transparent complements any room design. 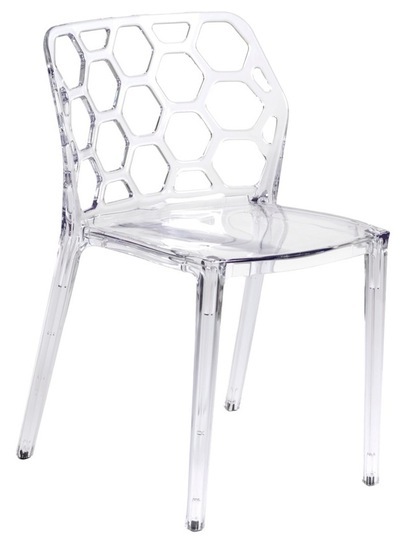 It features a durable polycarbonate construction and a sleek honeycomb design on its back. 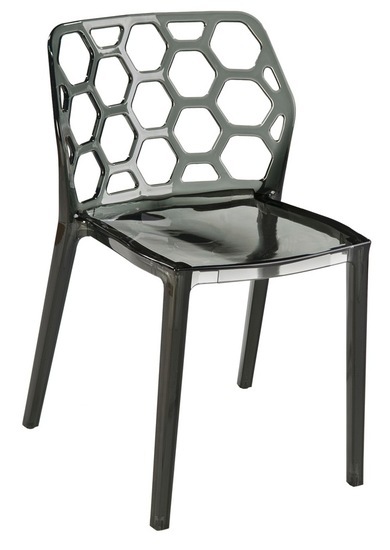 Because it is made from a single mold, the Mason chair is strong and sturdy. The chair is conveniently stackable, when storage is a priority. 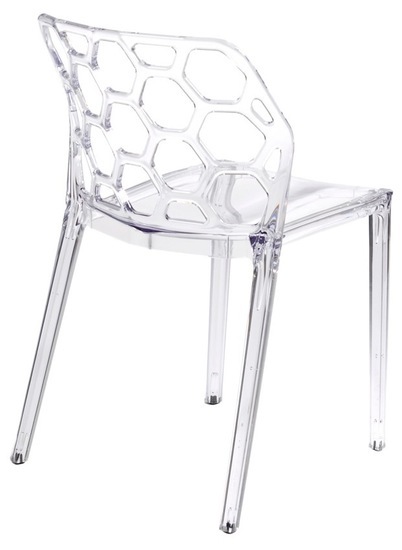 With a UV protected surface, the Mason Chair is stylishly and practically perfect for indoor or outdoor use. Aside from the eye catching beauty Mason chair provides, it also offers supreme comfort and ultimate relaxation with its smoothly curved backrest. 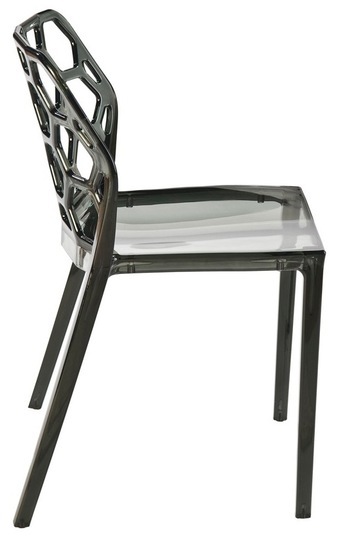 Add Mason stackable chair to your dining room, business, or restaurant! -- Please Choose an Option --	19.5"W x 19"D x 31"H: Seat Height - 18"